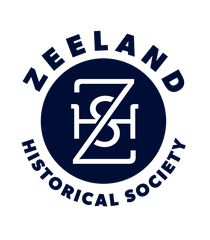 Zeeland Historical Society will host two cemetery strolls this week.The reason they are slated this month and not closer to Halloween is simple, said Dorothy Voss, Zeeland resident and charter member of the city's historical society. "We didn't want to do it at Halloween time specifically (because) we didn't want it associated with spooks or ghosts," she said. "The cemetery is not spooky. People go through it all the time. Kids go through it all the time. The fall flowers are out. Many people make a pilgrimage there after church on Sunday," she said. "But we're encouraging people to learn about our history." The first cemetery stroll is set for 6:30 p.m. Thursday and the second for 10 a.m. Saturday, "so people can choose a convenient time," Voss said. 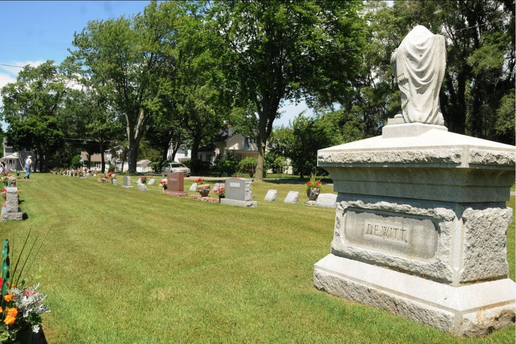 She said she's hoping the cemetery stroll will inspire more people to join the Zeeland Historical Society, which was founded nearly 40 years ago. Cemetery historian Blaine Knoll will lead the tours, which Voss said she is calling "strolls, so people aren't thinking they'll be walking pell-mell, at a racer's pace." Knoll will lead groups on a walk for about an hour, pointing out key cemetery features, such as the grave sites of Zeeland founders, and the cemetery's special sections, such as one area reserved for veterans. "It's a nice, walkable loop," Voss said. "Our cemetery is so beautiful, right in the middle of the city." Admission is free and the tour is perfect for families and people of all ages, she said. Zeeland Cemetery is at 144 E. Lincoln Ave.